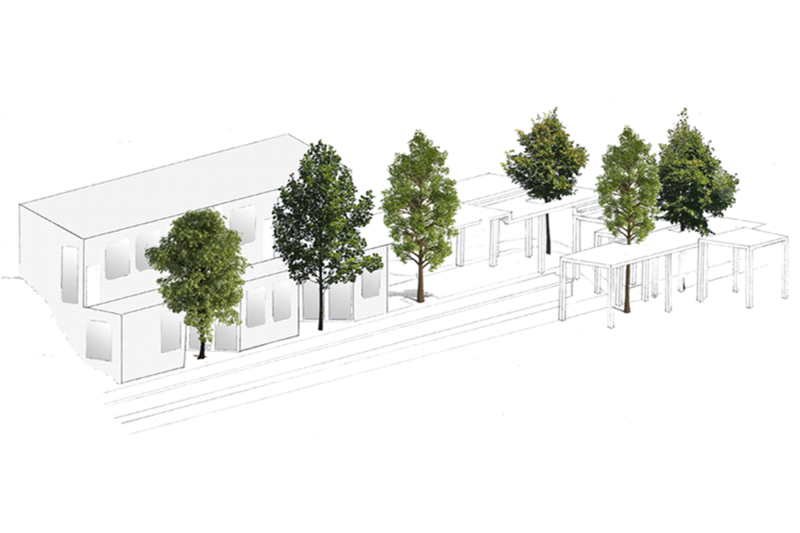 The main concept of this design was to use the old station platform as the key to connect the bakery to the folies and with the existing path. Using this part of the history, helping with the linear motion, the platform has been made into a raised terrace that is the link between all factors. 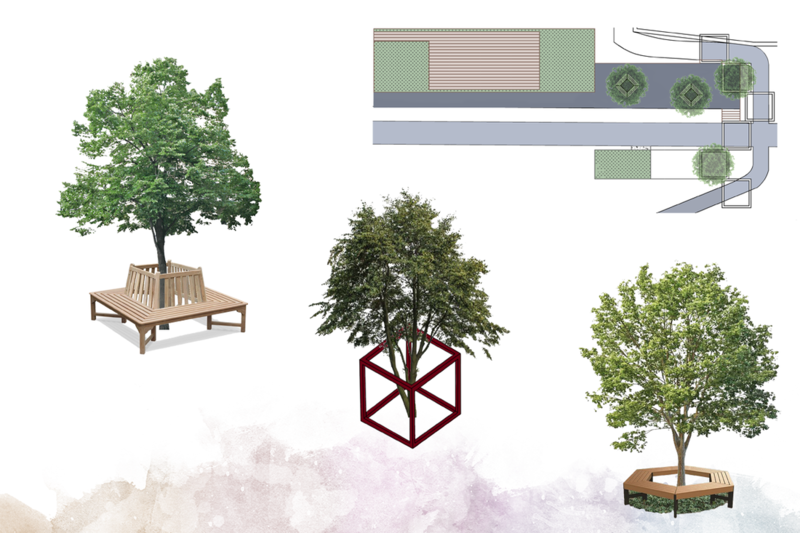 Using the existing trees, the design incorporates benches around the trunks to continue the tie to nature. Other contributing features are the large stretching windows that continue parallel to the path and round the corners of the bakery, to use this linear movement from the path as a positive, allowing the interior and exterior to act as one connected space. The concept for this design was in simple terms, a bridge. The cantilevered building creates a visual and physical link between the north and south of the Deeside Way. Using features of precedents to create an aesthetically pleasing design which is also a wayfinding feature on the Deeside Way. 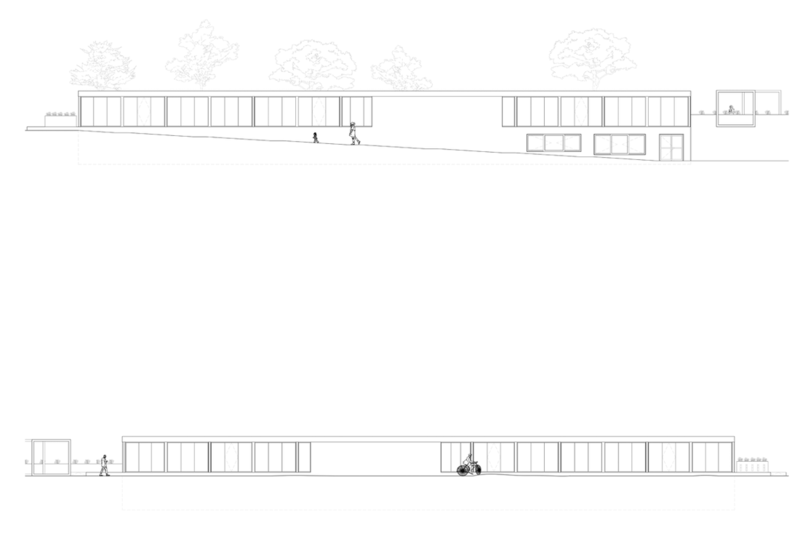 The two elements of the building are separated forcing the user to walk through the folie which is the main connective element between north and south. The large glass open areas create inviting spaces for the two main target groups. The concept of this design was to respect the sites existing features such as the railway platform and the natural features of trees. 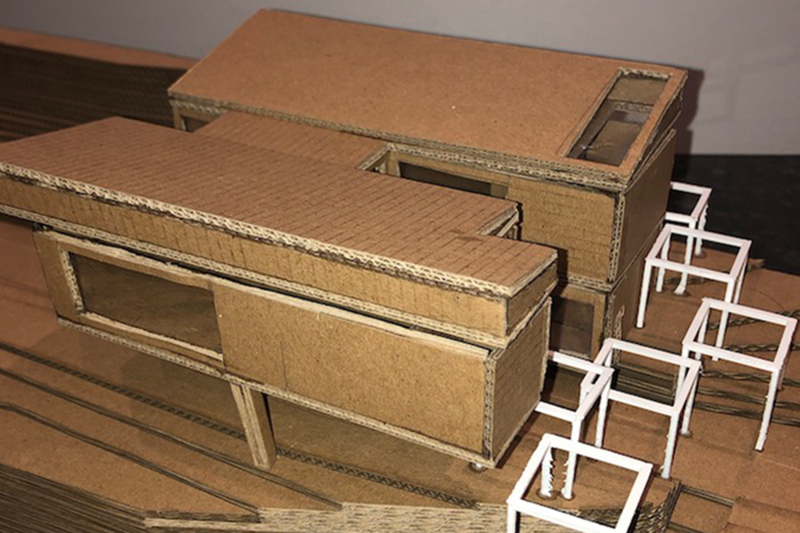 Therefore, the folies on the site are hollow to allow for the wildlife to grow through them, following this design the incubator has areas cut out to allow for existing trees to continue to grow undisturbed. Aside from this focus on the wildlife of the site there is an aspect of connection from one side of the path to the other, and along the path. These connections are exaggerated with the shape of the incubator and walkway.